Parties here and there are being held to celebrate the Holidays and while we at ONYC Hair also enjoy celebrating over food and drinks, we want to send a gentle reminder for everyone to exercise caution and control in indulging in the Christmas fare. If you can’t resist the sumptuous menu this holiday, make sure you practice portion control especially if you intend to treat yourself to these 7 rich, fattening and indulgent Christmas foods. ‘This is the season to be jolly but we want your happiness to extend. 1. 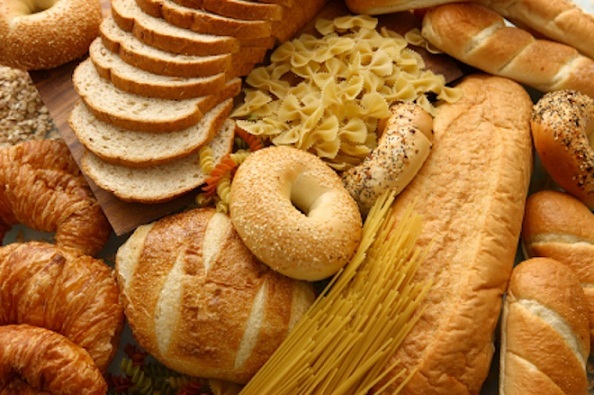 Breads, Bagels, Pasta, White rice, Doughnuts and other Carb-dense foods. 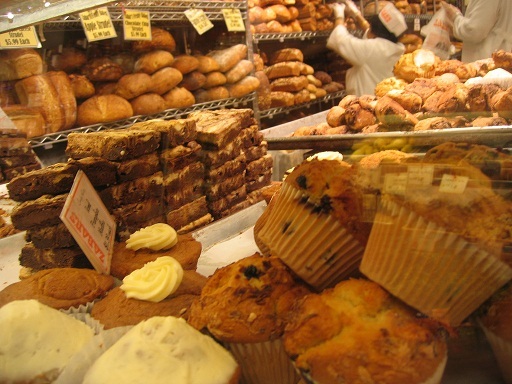 You know about the good and the bad carbohydrates, right? Ensure that your gut flora remains balanced by moderating your intake of food with high ratio of carbs as compared to their weight. 2. 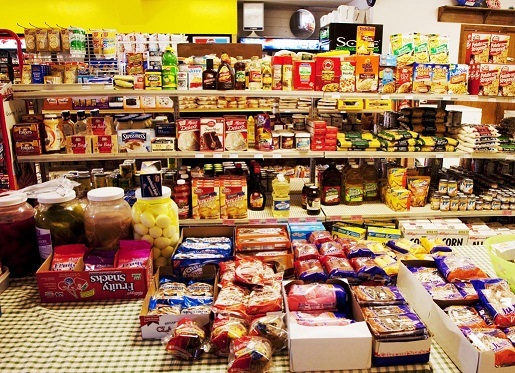 Packaged and processed food. Christmas is a time for giving so why not give the gift of time and skip the processed food. 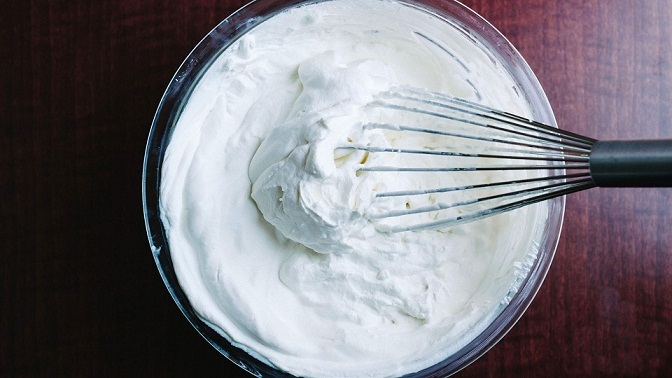 Cook for your family, friends and loved ones and avoid packaged foods which are rich in trans-fats. 3. Too much Christmas ham. 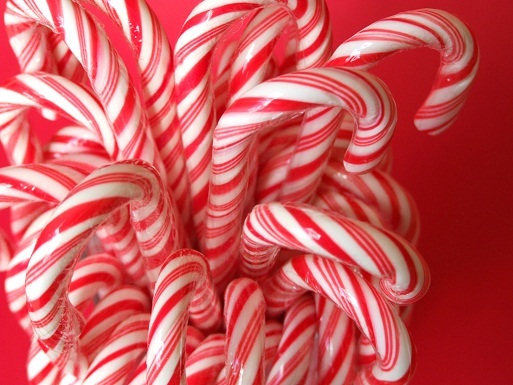 Drenched in salt and glazed with sugar, this Christmas food can increase your acidity if you eat too much of it. The striped sweets are truly tempting but this sugar stick can aggravate acidity, double your blood sugar level and cause plaques and dental carries. 5. High-calorie eggnogs are flavorful and rich and creamy. But a glass contains 150 grams of cholesterol and 400 calories so while it can add some holiday cheer, it can also add a few extra pounds of post-holiday weight. Pair your eggnog with a Christmas pudding and have it every night of December and you’re sure to spoil your health. The sparkling cheer of the holidays can be celebrated with just a shot or two.You don’t need to finish a dozen beer cans or use up the entire collection in your cellar. You don’t want to be intoxicated that you’d miss all the Christmas Eve fun. We know you’ll receive lots of it and we know you’re excited to indulge but try to control the urge to finish them all in one sitting. 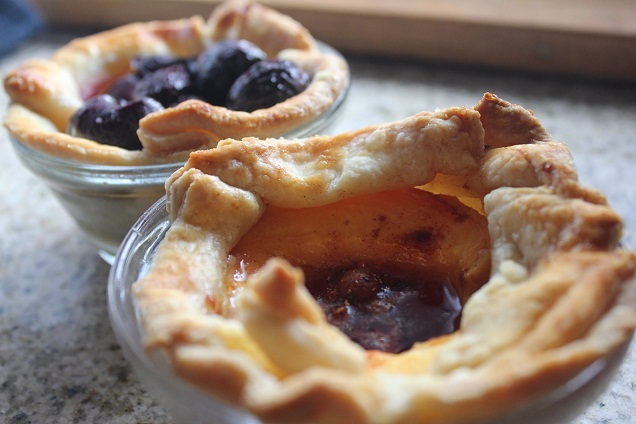 They’re sweet and so delectable but they are also loaded with calories. 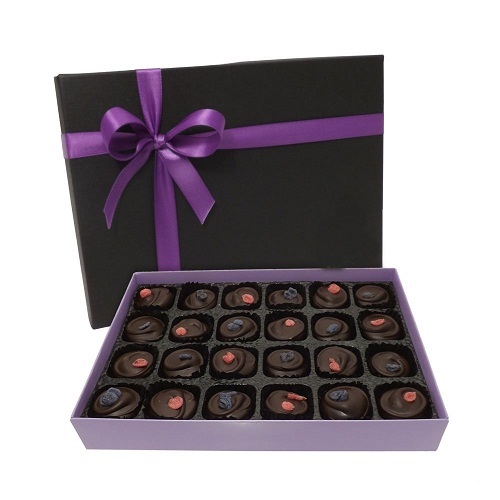 Take sweets in moderation so you can still try a portion of everything on the Christmas menu. More than hair care tips and enumerating what you need to know about hair extensions, ONYC guide also shares tips and tricks to help you live a healthy lifestyle. After all, the food you eat affects the overall functioning of your body which means it also affects the health of your skin, nails and hair. You can still enjoy the holidays without causing harm to your health. Just be cautious and never forget to have a balanced meal. We hope that this ONYC guide can help you have a joyful, scrumptuous yet healthy Christmas celebration. Crank It Up – Inside Out! While we are here to offer you the finest and highest quality hair product , with a smile – thank you so much for your loyalty – we are also looking out for your entire well being. Hence today we would like to talk more about Healthy Eating. …Instinctively enough Healthy Eating relates right back to your hair…. It has long been established that almonds contain vitamin E, magnesium and phosphorus (which compliments one’s hair and skin beauty). They also assist with lowering cholesterol and blood pressure. However, what is more revealing is that they boosts metabolism. Researchers at Purdue University have concluded that tree nuts increase your metabolic rate which results in greater weight loss when added to the diet. Still be cautious that tree nuts are consumed in moderate amounts as they are also high in calories. 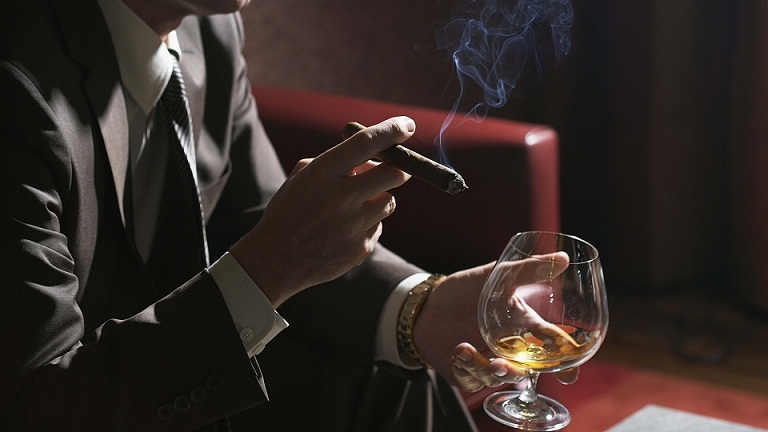 The customary recommendation is a handful a day. Furthermore, it is more advantageous for you to reach for the dry-roasted almonds which contain 169 calories (a lower count than the regular salted and roasted). 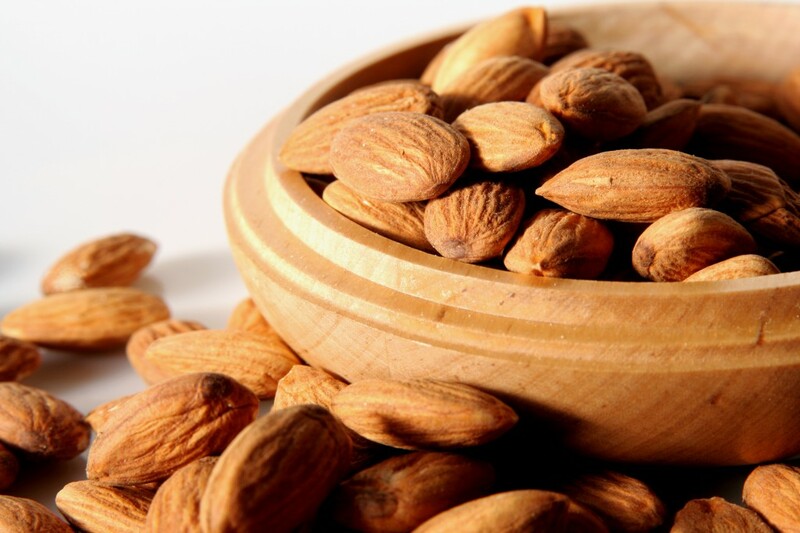 Additionally, almonds contain 3g of fiber. This will work to fill you up and is a good addition to breakfast to keep you satisfactorily full as you start the day. As an additional step, dietary experts have recommended replacing meat – once a day – either neatly blended with your pasta or incorporated in a large salad. It’s true what you’ve heard…the avocado is high in fat and calories, BUT it is also loaded with fiber, minerals and vitamins. 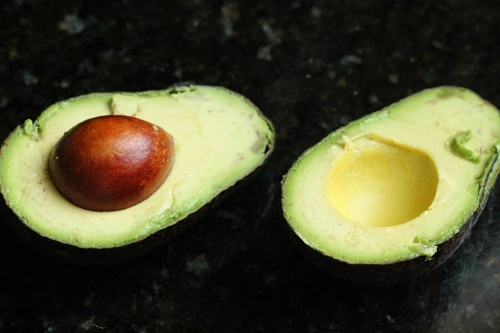 Furthermore the bulk of the calories in the avocado come from monounsaturated fats. Monounsaturated fats work to control the metabolic rate and to suppress appetite. This “good fat” is also reputable for lowering cholesterol. Risen cholesterol levels can result in the production of hormones that cause the stomach area to store fat. Therefore, eating avocados can fundamentally decrease belly fat by lowering cholesterol levels and avert the production of the hormone cortisol. However be sure to consume the fruit in moderation to get the most out of its potent ability. 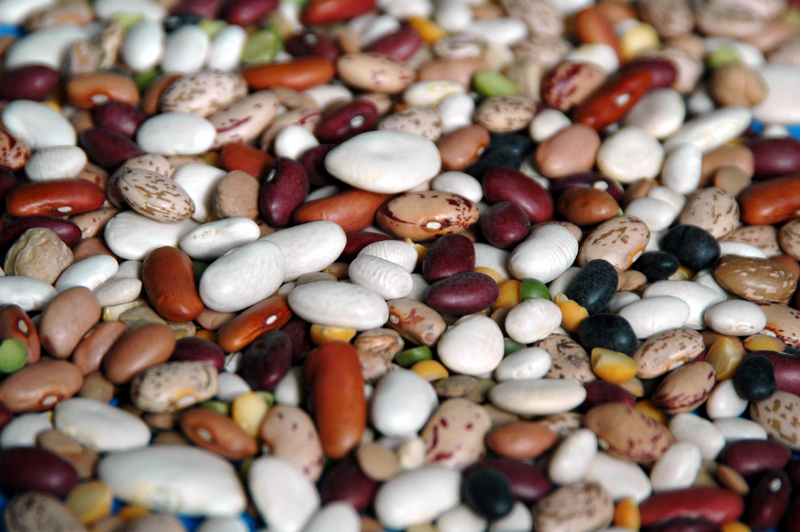 Beans are bursting with nutrients that help boost our metabolism. They are loaded with fiber (to help keep our digestive systems in working order) and are also packed with protein, calcium, potassium and magnesium. So, try to eat 2-3 servings of beans a week. If you are purchasing canned beans, make sure they are organic and low in sodium – although the most beneficial way to eat beans is to buy them dry and soak them overnight. Turkey is a great food because it is very good for you, and helps with boosting your metabolism. 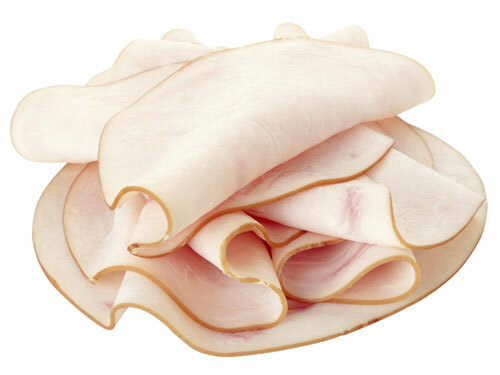 One small serving of turkey contains hardly any fat, and has a lot of protein. Turkey is a diet necessity. It is a great source of lean complete protein which helps you stay focused, and helps build muscle and helps increase your metabolism. There is a growing body of evidence indicating that the amino acid tryptophan (found in turkey) plays an important role in immune function, and in cancer prevention. As an added bonus, eating turkey also releases “happy hormones” such as serotonin into your blood stream, which actually has been shown to improve your mood. If you’re looking to jump-start your metabolism, begin your morning off with a bowl of oatmeal. This super food is rich in fat soluble fiber, which requires a lot of calories to break down. Eating oatmeal can also help decrease your cholesterol levels and reduce your risk of heart disease. Choose the largest oat flakes possible to ensure that you digest your oatmeal at a slow pace, giving you a steady source of fuel for many hours. 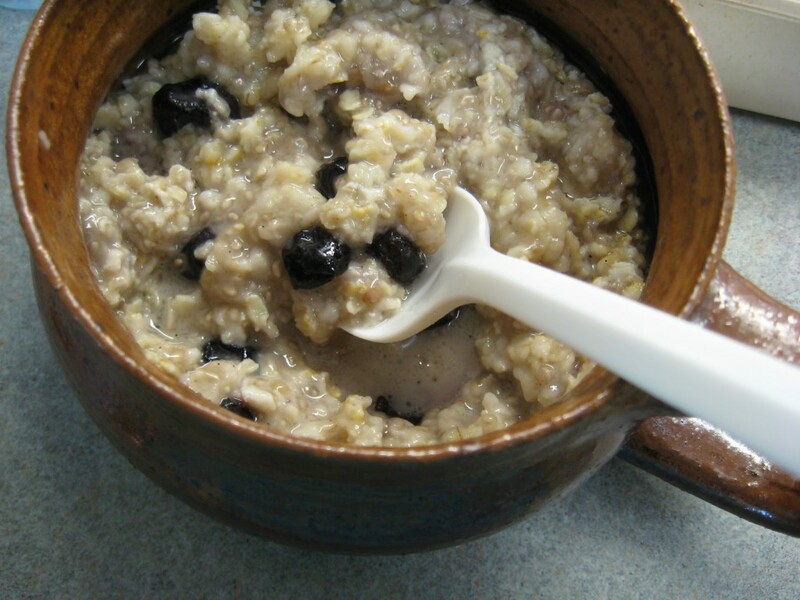 Steel-cut oats and old-fashioned oatmeal are the best choices to boost your metabolism. Oatmeal made from large oat flakes takes longer to digest, helping you stabilize your blood sugar levels, prevent cravings and feel energized until your next meal. Avoid instant or minute oatmeal, especially the ones packaged with extra sugar and flavorings. Just as other spices – such pepper and ginger – Cinnamon can raise your metabolism. The way it works, however, is that it increases metabolism a small percentage (about 8%) for about 20 minutes after being ingested. Therefore it should not be a substitute for productive exercise or making the necessary dietary changes, such as eating a high-fiber diet and foods which boost your metabolic rate. Although its effectiveness is temporary, consider absorbing cinnamon into your diet where applicable. It will be a valuable assistant. After all it does have a meaningful effect on insulin sensitivity. 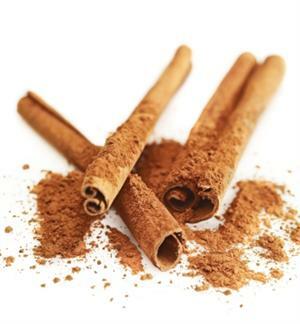 Cinnamon helps to steady glucose and insulin levels as well as lower cholesterol toward optimum health. Beauty Sleep is For Real! Everyone has heard, from their Grandmother to their Teacher to even their Mom say; “Get your beauty sleep!”, but this isn’t just a saying. Beauty Sleep is a true science. From effects on the brain’s memory, astuteness, weight control…there are numerous reports that inform how important sleep and rest are to our health. Still, it often tends to be the one thing that we minimize in terms of priorities. One place where the evidence of lack of sleep can be truly obvious is on our skin. As we go through life rest deprivation shows more and more on our faces, day after day. It is visible through dull-lifeless complexions, dark circles, fine lines and, in more extreme cases, rashes and eczema. Negating well restful evenings also “beats-down” on the immune system. This can lead to skin-related problems, such as rashes. 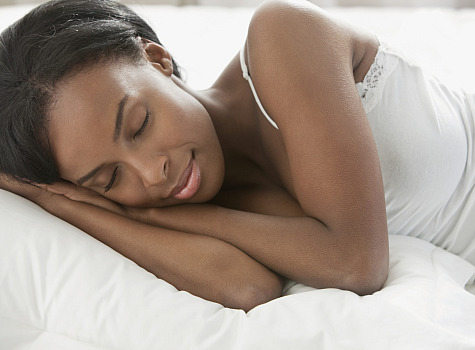 According to Dr. Murad, getting sufficient and regular sleep, is the best thing that anyone can do for their skin. His professional recommendation is an ideal amount of six to eight hours of uninterrupted sleep, time enough to move through the five phases of sleep. One other great piece of advice that Dr. Murad offers is to do your best to refrain from eating heavy or salty meals that are difficult to digest before bedtime. Also remember to hydrate, hydrate, hydrate! Nourish the skin from the inside-out. It is just as important as using a topical moisturizer. Dr. Murad also recommends oral supplements such as Omega-3 to help maintain a healthy hydration level. And get this! Today, even Beauty Spas are getting involved with assisting the rat-race-affected-individual with more rest toward healthier skin. There are many sleep health programs at Day Spas. Often times we think that we have time. We believe that we can play catch up later on, for prevention that we can take today. Therefore as the experts have urged us and explained, don’t turn to alternatives to provide results that can be obtained simply by using best practices today. More so, research has proven that over time, lack of sleep is quite obvious to on-lookers….Therefore, Strive to be the Best You! As you are making Weekend Plans, Remember Sleep does equal Beauty! As women who take care of ourselves and our appearance, one of the most important things we can give attention to is Our Health. 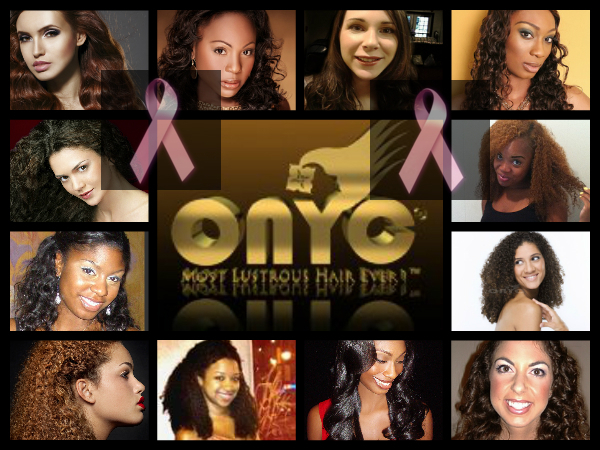 Join The ONYC® International Team Today! Registering is as easy as 1, 2, 3…. Step One: Head over to Event Registration. Click here to Sign Up. Step Two: Sign up with Us by selecting “Join a Team”. Step Three: Click on “Select Or Type The Name Of The Team You’d Like To Join” where you will be given drop-down menu. Step Four: Pick “ONYC® International” and head on through to register. Each registration and donation helps our goal. This can be contagious and you can be the source, have an influence and make a remarkable difference in the lives of your Mother…Sister…Aunt…Friend…even Yourself! Bringing continued awareness and repeated attention to Breast Cancer can only serve to save Our Lives!. Therefore ONYC® Hair International is asking You…..Yes YOU, to come join our team on Saturday, October 20th for; Making Strides Against Breast Cancer. We will be participating in the American Cancer Society Walk which will be held at the Sylvan Theatre on the National Mall in Washington, DC. We have set our goal at $2,000 to help us become a better community in fighting against breast cancer. For each participant walking with us, we will provide you with a T-shirt to show our appreciation. Plus, you will get a chance to meet the CEO of ONYC® Hair and ask her some questions. The American Cancer Society is doing the most in every community to help people with breast cancer today and striving to find cures to end the disease tomorrow. They are doing this in 3 key ways; Groundbreaking research, comprehensive support and access to mammograms. It is also important to remember that Breast Cancer is “multi-generational”. Although women over 40 have higher incidences of breast cancer, younger women tend to have more aggressive breast cancers and higher mortality rates, therefore, are at a higher risk. They are a largely under-recognized demographic – lacking in targeted education and services. We look forward to seeing you at the Walk! It may just be one of the most important decisions that you make. It can save a life…it may even be your own. Thank you for your kind participation! Donate & Shop at the Same “Breast Cancer Fighting” Time! Starting this Saturday, Sept 1st, for two weeks, $5 of every purchase will be donated towards the fight against breast cancer. We believe that you can help us reach our goal and even double it. We will subtract $5 dollars of every order and add it to our $2,000 goal for our Pink Boa 5K team to give back to something important to women everywhere. A HAIR test to screen for breast cancer is being developed by an Australian company which says it has the potential to become a viable alternative to mammography. 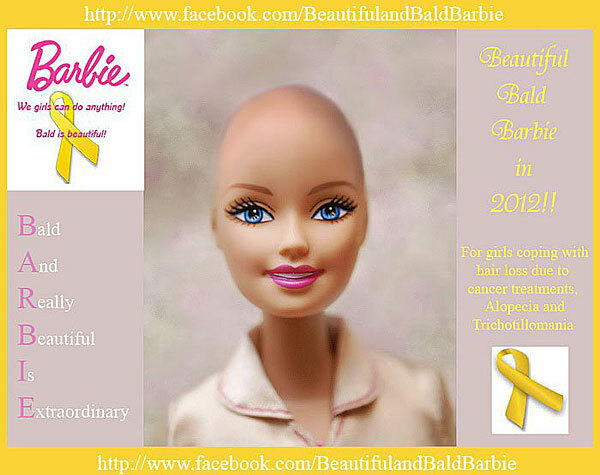 Is America ready for a bald Barbie? Barbie dolls are known for legs that go on forever, a Vogue-worthy wardrobe, an impossible hourglass figure — and impossibly luxe locks. But a couple of cross-coastal friends are convinced that a bald Barbie doll — in honor of those who have lost their hair to cancer and other illnesses — will sell. They’ve launched a Facebook campaign to make it happen. Writing is an amazing creative and emotional outlet. I know not everyone enjoys writing, but there are many different ways to use writing to infiltrate positivity into our life and to focus on more upbeat and encouraging things. Writing therapy has been utilized and shown effective to help people process and regulate emotions, particularly for dealing with past trauma. Research has also shown that writing can increase peoples’ positive emotions and moods. One research study revealed that when a group of participants wrote about positive emotional experiences it related to a significant increase in measures of life-satisfaction. Writing can help people gain a sense of mastery over the topic they are writing about, offering a greater sense of control, and can help them to identify preferred outcomes, and establish goals and solutions for problems they may be dealing with. So, how can you start incorporating positive writing in your life? Here are a few suggestions.